• Various UI, stability and performance improvements. Great product! But 20€ to update App!?! 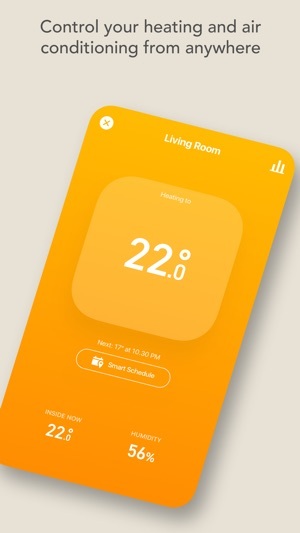 Have been using Tado for a couple years now and it is great! The geo-fencing works a treat, especially if like us, you do not keep regular hours in and out of the house. The interface is nice to use, it has been mostly reliable and customer services have always been excellent. However, there are a few Issues that unfortunately take the shine off it for me. 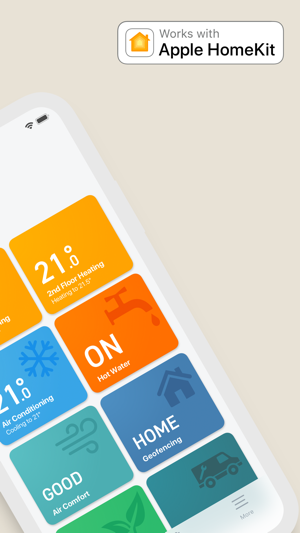 Tado recently released a nice looking new app update, for the new model thermostat and existing users. Except existing users have to pay 20€ to update. Seems a bit harsh to me. I have also been waiting for multi-home functionality now for a couple years (to use with holiday home / work office) but still not possible (unless you login and out every time you leave the house). To be fair they have never set any particular dates for this, but nevertheless a shame it is taking so long. Finally the sticky tape for putting the AC thermostat on the wall is hopeless - there should be a way of screwing it to the wall (and the option of hard writing to the electricity). Maybe these issues have been addressed in the latest model?! 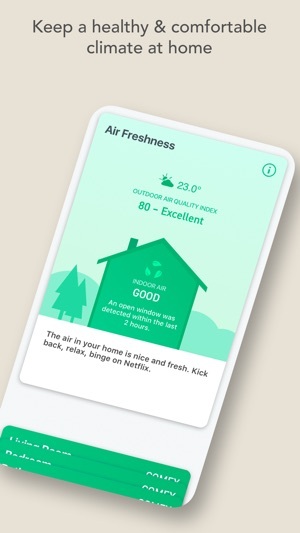 Hopefully Tado can address these issues soon, but bottom line - this is a great product, highly recommended!! (I prefer it to the Nest that we have now installed in the office, in case you’re in two minds). Not bad but app not really thought through for real life! 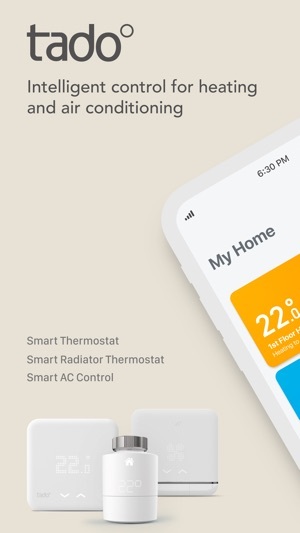 Have been using Tado for 1 year. Mainly very impressed indeed. 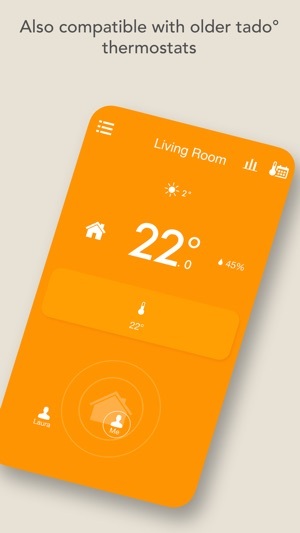 Best feature is undoubtedly Tado's ability to maintain constant temperature throughout house. Still, I am surprised that the following 2 things do not make it to the list of things needing attention. 1) There is no scope for creating 2 or more timing set ups for the whole house. For example I have one timing programme for the whole house during a normal working week, but then need a totally different set up for holiday periods. I also ideally need a further set up for when my kids are home from uni but I am still at work. What happens in practice is that I dare not lose all my timings for the most common set up, so I keep that set-up but then end up manually controlling the whole house during holiday times! I think you will agree that is a very bizarre scenario given how easy it would be for you to add several more programmable schedules to the app. In our case it isn't possible to use the GEO location option for a family because in practice you can't rely on teenagers having their phones (a) with them and (b) charged. 2) The noise of the thermostats is enough to wake a light sleeper. This never gets mentioned in your literature. For some this renders thermostats pointless in a bedroom, and for other such as myself means that I have to artificially work round the problem by setting switch on times to later than desired. 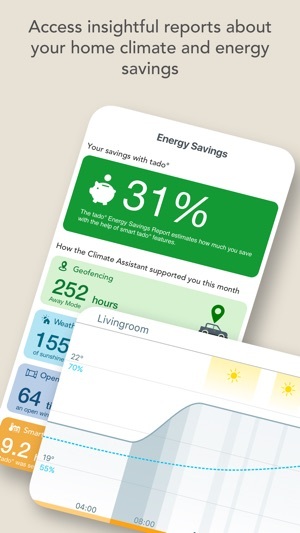 I like several other people did a lot of research before opting for Tado. Hive and Nest apps get pretty poor reviews in the App Store and I was keen to understand why. I wanted a robust geofenced solution with the option to integrate with HomeKit if necessary. Tado was the only option that fits the bill. I was also keen to avoid overly ‘clever’ learning systems that would try to anticipate movements invariably getting things wrong. 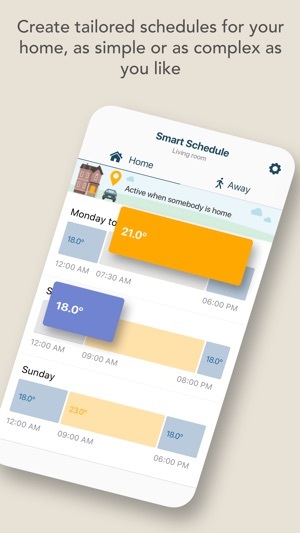 Tado provide a logical approach to heating based on a schedule combined with (multiple) device locations and manual overrides providing an extremely flexible solution. I have no experience in central heating systems and have an elderly system with two independent underfloor heating zones. The system is over 20 years old. Needless to say Tado support was excellent in identifying the old thermostats and providing the necessary installation instructions. It was super simple to install, in fact the Extension Kit simply pushed on to the existing programmer backplate without any rewriring. 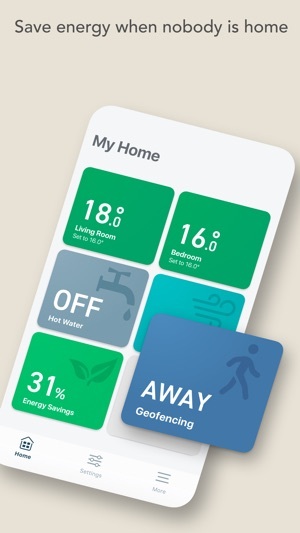 Geofencing seems to work like magic ensuring the house is warm on arrival but heating is turned off when we go out. The various graph views are indispensable for a getting a temperature profile throughout the day. 10/10.